I had just got up this morning, and was brushing my teeth while browsing the Internet (Ok, that’s how geeky can you get! ), when I stumbled on this pic. And I laughed and laughed for a whole minute! 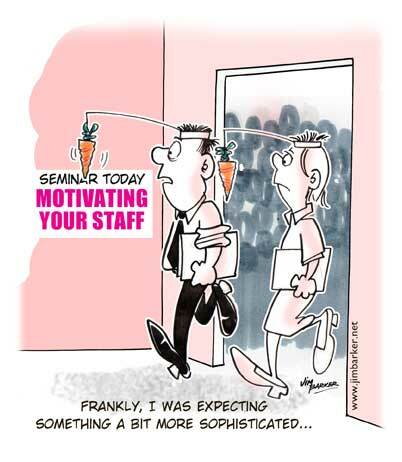 Organizations throw in carrots all the time, but some of them can be mind numbing out-of the-world hilarious!. “What sort of onsite opportunity would you want, short term or long term?”. Hmmm… This is like the ultimate carrot dangled in front of new hires (irrespective of the level you join) on the first day in the project. Well, better you don’t begin dreaming of Swiss holidays and Australian beaches right away! You will eventually get there, but right now, this is just a conversation starter to get you in a good mood. “Congratulations! You are the “Chosen One” to build our organization’s expertise in a new domain called “Arboreal Travel”. It is a highly challenging role (so challenging that we couldn’t come up with a JD yet ), and you are expected to work with Industry pioneers!”… Flummoxed? OK, it means the Eurozone crisis has stifled our revenues, but the CFO wants to boost the top line. Nobody has any clue to how, so you have been roped in to see if we can now make money from Monkeys in the Cambodian jungles! “You are supposed to think out of the box and come up with complex business scenarios to benchmark our product against competitors.” Does it sound intimidating to you? Relax dude, all they want you to do is Manual Testing! “The product for this pilot project is world class, highly sophisticated and complex with a proprietary technology, and we have hired the best-in-the-country talent to drive this engagement.” That means, nobody has a damn clue about the stuff to be done here, and we have frantically managed to wangle in whoever was willing to work in this swirling vortex of entropy! “You will be responsible for the difficult and onerous task to set up the Centre of Excellence (CoE) in Collateral Debt Obligations for Martian Investors. Your work would involve researching an Alien marketplace and developing Syndicated Lending solutions for them.” Oh sweetie.. wake up, and welcome to the one man army in a glorified version of the Bench! OK. I have exceeded my quota of sarcasm for the day, so ending here. P.S: I have this sinking feeling that I’m probably possessed by Cyrus Broacha( was tempted to name this post “The JD that wasn’t”) . Can anyone help?? A layman’s guide to classifying MBAs! It was a lazy weekend when on the insistence of my little niece we ended up taking a trip to the zoo. Now, I’ve been to the zoo a gazillion times, but always ended up being amazed by the variety of its inhabitants. If you are open to psychological mumbo jumbo, this is a place filled with ample opportunities for psychoanalysis. Just look at the monkeys scampering around, the lion lazing away in all its majestic splendor, the alligator waiting for some nosy onlooker to pop into its outstretched open jaws!. Quite naturally, I compared this environment with the place I was most familiar with. If the B school were a zoo, what would the various personalities of the animals be?? What categories or boxes I would put them in ? The thought inspired me into putting together this post. The Topper – They normally come in different shapes, sizes and personas. Some examples – the Dazzler, the Underdog, the Lawyer.. Some are flamboyant, some of the silent types. Highly esteemed by the rest of the B school crowd, they intimidate the system with their impeccable quality of getting marks. Few even terrorize the most obstinate profs with their eloquent arguments on why they should have got a 9.75 rather than a 9.5 in an assignment! The Fresher – Here is a bunch which is always frantic to increase their CV value, with little clue to what CV value is!.. Right from the first day, they are seen enrolling for the maximum number of committees and sweating over being selected in them. The most enthusiastic participants in all dead-of-the-night God-only-knows-what activities, they are the ones most committed to building the Brand value of the insti. Not belittling their soaring levels of enthusiasm, they are indeed the life and energy of the B school diaspora. The Free Rider – The most dangerous and feared species, they are also the most threatened lot. Not many of them survive till the end of B school life, as they usually tend to get eliminated by mutiny of the aam junta!. Still, like clever mutants, there are a gifted few who camouflage themselves to survive and sustain in the hostile environment. Quickest way to identify a Free rider – Always seen making last minute frantic calls to be included in any project group in the beginning of the term!. The Mausis – The married and committed association of ladies in B-school, this is the most uninteresting non-happening demographic for the guys. Shaadi kar liya toh life khatam hai yaar! Off limits for the rest of the batch, they may serve as an interesting subject of study of post marital life for a few – a glimpse of life of the other side! The Babes – You might have seen them everywhere – the plastics in Mean girls or the new fangled Bebo types in Ekta Kapoor serials. Yet, if you expected these babes to be dumb, you are in for a realty check! In a B-school, you would find the most intelligent, academically oriented and intellectual babes on the planet!. They also come in different varieties – the Rakhi Sawants, the Manekas ..etc… Cynosure of all the single, committed (and married!) Males on campus, their happening social lives are closely monitored by one and all. Summing it up – they top the list of “PGDM’s Most Desirable”!! The Overachiever – These geniuses register and sweat it out for every B school competition in the world. Ordinary mundane subjects and assignments are way too lowly for them, they dabble only in higher intellectual pursuits. They dare-to-compete in every one of them and even end up winning a few. Living in their own world of boardrooms, battlegrounds and tournaments, they eat-drink-live competitions. Mere mortals might fantasize of Kareena Kapur or Katrina Kaif, but these great men only dream of shaking hands with the Mahindras, Birlas and Ambanis!! The Devil’s advocate – Frighteningly sharp, they can shake the confidence of meanest of professors. Proponents of the most contrarian view in all discussions, they are the bold ones pushed and prodded to request profs to postpone tests and submissions. Keeping the faculty on their toes gives them immense pleasure. The not-so-tough a.k.a faint hearted profs risk their arguments being ripped apart and eaten alive when the Devil’s Advocates begin lashing their dangerous fangs!!. The Madhatter – A rare species, but nevertheless cannot be ignored. They have the unenviable quality of turning everyone mad around them. Not their mistake, they are much more intelligent than the rest of the junta around them. They are also the happiest, blissfully unaware as they wreak havoc wherever they go. When you encounter these innocent bombs, they ignite the thinker in you; You cant help wondering why the most deviant genetic mutations happen in the demographic of the most brilliant people!! ;).. The Spammer – Highly social self opinionated people, these enlightened individuals are committed to share their knowledge and wisdom with the whole universe. Or maybe they are just technically challenged – having difficulty in differentiating between the “Reply” and “Reply All” button. All the world is their stage , and their opinions are way too precious to be left to them alone. Their harmless banter is usually well tolerated unless they are unlucky enough to send a gyaani mail when the crowd is in a foul mood (especially during quizzes and exams). That’s when their Bravado backfires, but they handle with grace and élan, or sometimes brickbats 😀 !! The Superstar – Every batch has one or two of its own, albeit of different types and characteristics. Like Dolly Bindra in Big Boss, they somehow end up grabbing maximum public attention on campus. Always the talk of the town, they are the most talented and gifted – Physically, Mentally, Technically, Romantically, Gravitationally, Spiritually, Psychologically.. phew! Mess discussions and hostel gossip is all framed around their activities. Lending spice to the life in b school, these unforgettable characters are hailed as the Rajnikants and James Bonds of B-school life. The Consultant – “In every society, some men are born to rule, and some to advice” – Ralph Emerson. These consultants, they walk into team meetings, give high level suggestions, sketch a few graphs , hypothesize the models and leave the dirty work to be done by grass root level workers. Always ready with graphs and charts, they can prepare probability weighted decision trees in seconds! No wonder their advice is highly valued during elective selection and placements. Masters of statistical espionage, they analyze, predict and transform the perspective of everyone around them!! Ok now. I guess I have done way too much talking here. And, considering how colorful MBA life is ,I could go on babbling like this forever. So I have to stop. My apologies to The Revolutionaries, the Fin-maniacs, The Bevdaas , the Atankvaadis and the Aaam Aadmis. Sorry to have missed you in this post. Another place, another time maybe! B-School profs – Angels or Demons??! !